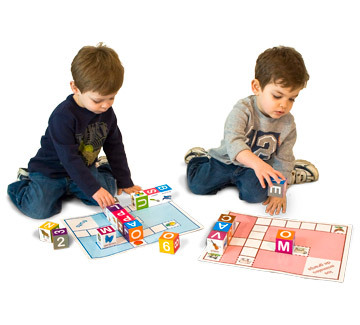 A new twist on two favorite toys - Blocks & Crossword puzzles! 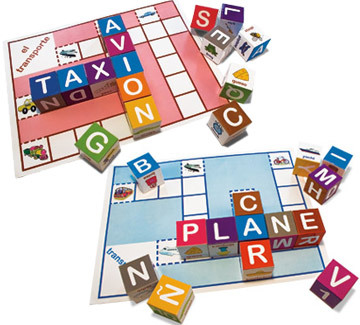 20 bilingual blocks teach children to recognize letters, numbers & identify beginning sounds. Complete crossword puzzles and learn to spell common words. 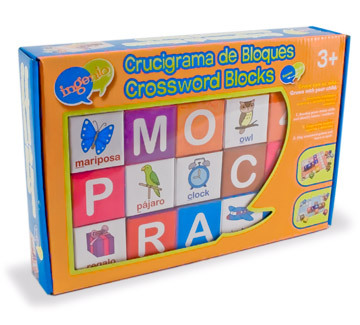 Includes 6 English and 6 Spanish crossword puzzles. 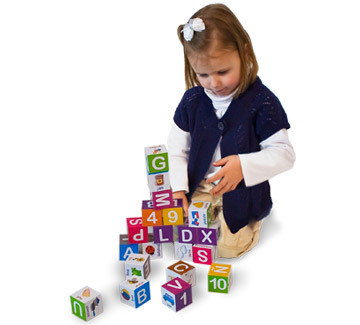 Blocks and crossword puzzles store easily in the re-usable box.